Nutrition Which is Healthier - Olive Oil or Corn Oil? Recently companies have advertised that corn oil is healthier than olive oil, claiming "four times as many cholesterol-lowering plant sterols as olive oil." But is there any truth to the claim? If like most people, you like to think you can see past modern marketing and get down to the real truth. While we are probably all more gullible than we like to admit, we can always dig up the nutritional science in order to find out the truth when confronted by advertising claims that seem even the slightest bit dubious. And we've decided to do just that with the corn oil vs. olive oil debate, and find out which is truly healthier. Recently companies have advertised that corn oil is healthier than olive oil. The advertisement states, "Contains four times as many cholesterol-lowering plant sterols as olive oil." The journal article that the advertisement claim is drawn from was published in the Journal of Clinical Lipidology and fully discloses that funding for the study in question came from ACH Food Companies, Inc. ACH Food just so happens to be the producer of Mazola brand corn oil. Given this close relationship to a business entity that stands to make increased profits as people view the claim and purchase their product, we wanted to be sure that the study findings were found using proper scientific method. So we looked up the science behind those statements to find out the real story and deliver it you! As it turns out, when people were administered a controlled low-fat diet and given 4 tablespoons of corn oil, they had greater reductions in LDL or "bad" cholesterol than when they were given the same 4 tablespoon amount of olive oil. People who took the corn oil showed a 10.9% reduction in their LDL cholesterol, while people who took olive oil showed a 3.5% reduction in their LDL cholesterol after 21 days. The people who took corn oil also had lower triglyceride levels than the people who took olive oil. While the study referenced earlier was definitely intended to look at what happens with cholesterol when people took corn oil vs olive oil, the researchers also found differences in blood pressure and heart rate in the olive oil group. As it turns out, diastolic blood pressure (or the bottom number) was reduced in the olive oil group, but not in the corn oil group. So olive oil may have an effect on how your blood vessels are actually functioning, rather than just investigating an LDL cholesterol level. Scientists have contributed this blood pressure lowering effect of olive oil to its high oleic acid content, and corn oil is quite low in oleic acid. This might also explain why people who took olive oil had a reduction in heart rate as well. Which is Better for Cooking? So should you use olive or corn oil for cooking? Hands down olive oil can withstand higher heat temperatures than corn oil, and is preferable when it comes to sautéing foods and high-heat cooking. 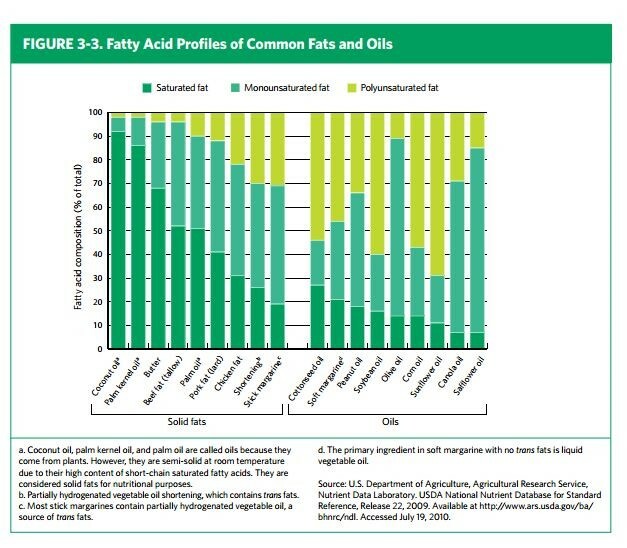 As illustrated in the table below, olive oil contains primarily monounsaturated fatty acids, commonly abbreviated as MUFAs, while corn oil contains a large fraction of polyunsaturated fatty acids, or PUFAs. PUFAs are less heat-stable, and MUFAs typically are more stable when exposed to higher temperatures. Corn oil does contain a bit more vitamin E than than olive oil, in addition to the extra phytosterols. Overall, both corn oil and olive oil have demonstrated some major health benefits. The best solution might be to follow a reduced-saturated-fat diet like the one used in the corn oil vs olive oil study, and to consume 2 tablespoons of each of these flavorful plant oils as part of a balanced healthy fat intake. Olive Oil vs. Corn Oil Conclusion: It's a Tie! It really is no surprise that the facts point to a tie in regards to olive oil vs. corn oil, as a varied diet incorporating nutrient-dense foods is nearly always the best choice! Kevin C. Maki, PhD,1, Andrea L. Lawless, MD, Kathleen M. Kelley, MD, Valerie N. Kaden, Constance J. Geiger, PhD, Mary R. Dicklin, PhD. Corn oil improves the plasma lipoprotein lipid profile compared with extra-virgin olive oil consumption in men and women with elevated cholesterol: Results from a randomized controlled feeding trial. Journal of Clinical Lipidology (2015) 9, 49–57. Teres S, Barcelo-Coblijn G, Benet M, et al. Oleic acid content is responsible for the reduction in blood pressure induced by olive oil. Proc Natl Acad Sci. 2008;105:13811–13816.